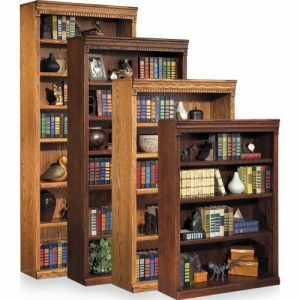 The bookshelves we offer at NorthPoint Office Furniture can create reliable storage capabilities and add a stylish appearance to your home or corporate office in Alpharetta, Woodstock, Sandy Spring, and other communities throughout the Atlanta, GA, area. At our spacious warehouse and showroom located in Roswell, we carry thousands of different pieces of office furniture, including bookshelves that are available in a variety of colors, finishes, and designs, and we can handle orders of any size. So, if you’re office has limited square footage and you’re simply looking to add a single piece of furniture, or your company is expanding and you need to furnish an entire new workspace, NorthPoint Office Furniture has you covered. When it comes to making a purchase for your office, you want to make sure the bookshelves you buy are durable enough to last for years and stylish to fit the current décor of your workspace. The wide selection of new and gently used furniture we carry includes some of the most trusted names in the industry, like Cherryman, DMI, Global, HON, Martin Furniture, and more. As a result, you’ll surely be able to find furniture that you can be confident in now and into the future. For more information about the bookshelves and other office furniture, like conference tables, chairs for the office, file cabinets, and office table options we offer, contact NorthPoint Office Furniture today or visit our showroom in Roswell. We proudly serve homes and businesses located in Alpharetta, Woodstock, Sandy Springs, and all of the surrounding Atlanta, GA, communities.